of our visiting tour on Lake Como. A list of destinations is available, each with an audioguide. We travel northbound, from Como to Piona. 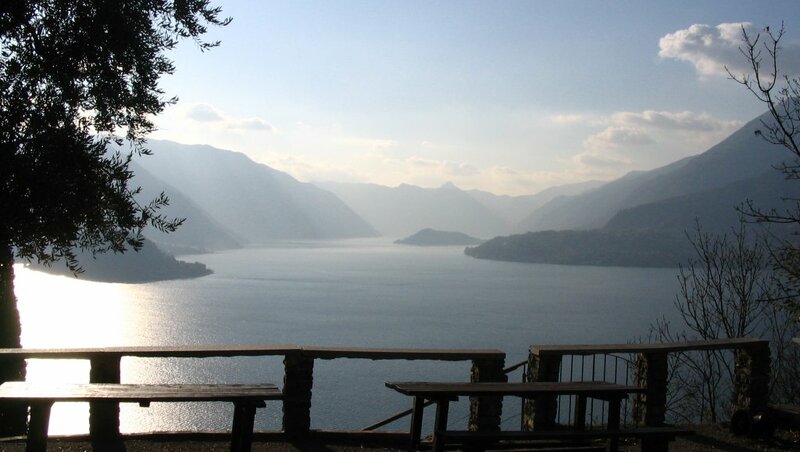 Como is the ideal starting place to explore the picturesque towns and villages dotted about the shores of the lake. You can get to them by road taking the Strada Regina - an old Roman road - which borders the western shore of the lake, sometimes at the water's edge, or in more comfortable style on a boat. The gentler scenery and luxuriant vegetation of the west side of the lake, with the town of Como at its bottom tip, contrast with the more rugged landscapes of the Lecco arm. But both offer villages of Roman origin, medieval towns, ruins of imposing castles perched on panoramic outcrops, and splendid villas and gardens to visit. Whether you are here on a sparkling summer day or have come simply to admire a winter sunset, make the most of this opportunity to experience the magic of Lake Como first-hand.